“The 3D evaluation model” is the title of my bachelor thesis. Before giving it out to the public, I still need to correct typo mistakes because my English is not the best. This report is a different way of analyzing companies, organizations and solo sole-traders from inside-out. I named my new way as the “3D evaluation model”. As in current stage, I do not see it yet as a framework. The model consists of 3 major cornerstones that, in my opinion, are in any company, regardless of if they are implemented or not – values, resources and communication. As the fourth dimension is “depth”. Depth describes the knowledge and understanding of the subject. Norman Webb’s “Depth of Knowledge” model (DoK), revised Benjamin Bloom’s Taxonomy model to describe the depth dimension, explain in a simple way about the learning process and to differentiate “knowledge” from “understanding” and “complexity” from “difficulty”. The social constructivism as the philosophical theory to support 3D evaluation model’s characteristics of group effect on the values. Business model canvas, PEST and SWOT analysis to glue existing models and frameworks with the depth dimension of the 3D evaluation model and to show how existing models fit into my model. The existing models and frameworks help to build a bridge between theory and practical use of the model. In practical part, there is described the workshop with the non-governmental organization (…), where, in a simple way, the model was applied with help of previously described models. The workshop also used relative measurement system – the agile scrum score point system to give rate to the tasks – how difficult and/or complex they are. To fully see how the “3D evaluation” model looks, instead of using simplified 3-dimensional representation, the graph network should be used. There are many methods to evaluate companies, organizations, teams and other entities. After years of working with different size companies in different markets, author of this report had to have very simple yet robust evaluation model to fast grasp the needs of companies and spot gaps in their environment that may impact communication, management of projects and delivery of final product or service. There are many great methods and models how to in-depth evaluate a company or get a simple overview. I came to the conclusion that in general there are only 3 interconnected cornerstones in any company – values, resources and communication. Each of corners also has another attribute – depth. Depth is used to explore how competent organization is in each field. Image 1: simplified 3D evaluation of the company. This report is based 15 years of experience in work with companies and helping them grow. From academic and philosophy of science point, this is description how gained experience (Empiricism), meaning that knowledge is based on experience. In order to understand the language in this report, I need to briefly explain used terms for the base of common understanding of expressions. Since a majority of my previous experience comes from IT and communication environment I will use “technical” terms and biology. Most of the terms will be wider explained in further analysis. IMage2: the 3D evaluation model. The cell system. The node in the context of this report is a touchpoint of one of 3 cornerstones – values, resource and communication. 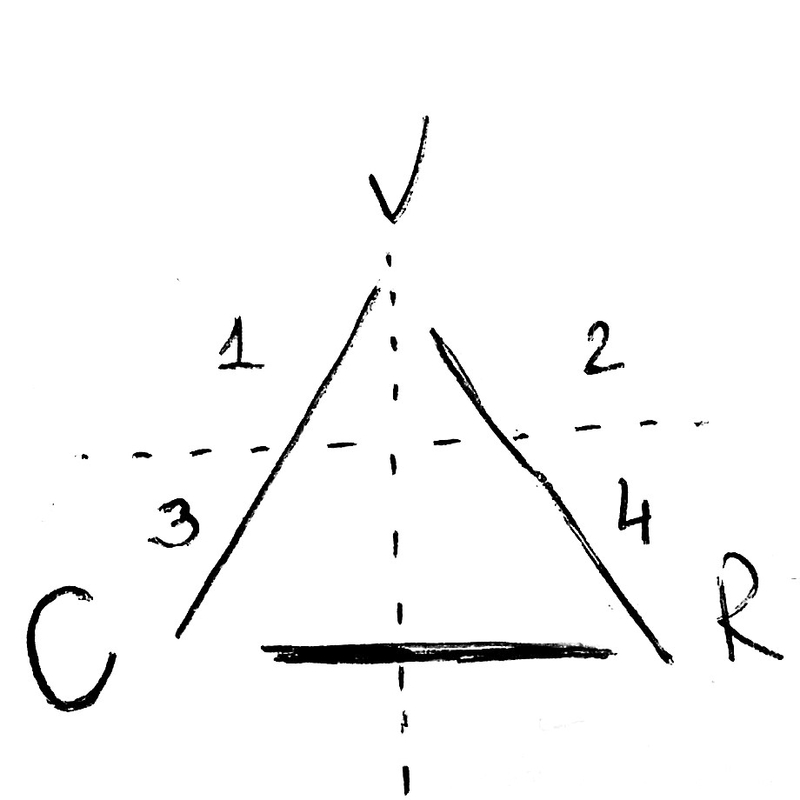 In the context of this “3D evaluation” model, it is assumed that there are only 3 nodes (Image2 – V,R,C). As the fourth node in the context of this report, I will use “depth”, that creates the 3rd dimension of all 3 nodes (Image1). Visually it can represent pyramid-like shape (see the description of the “cell”). However, since this report is based on social constructivism from philosophy, there can be more touchpoints in future and that will affect the “cell”. When all 4 nodes are connected they shape form – cell. In the context of this report, the cell is the filling of the all four nodes. 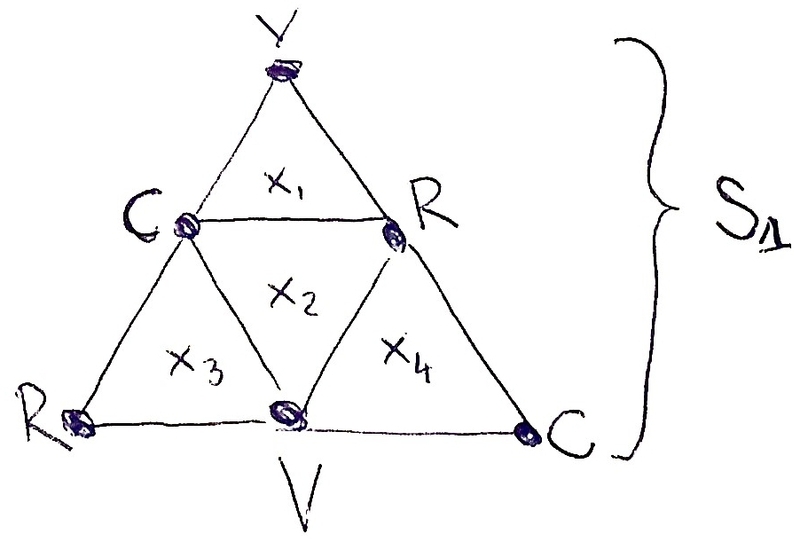 In the end, all four elements visually create equilateral triangle pipe (Image1). To add flexibility to this evaluation, the cell shape is the variable, meaning that “equilateral triangle pipe” might not be the final shape of the cell. If we look into future and how the cell could look like, it can also be in shape of the hexagon (“bee cell”). The 2-dimensional representation is in Image2 as xn. With “entity” in this report, I mean any organization or individual, who is maintaining any activity that involves other entity in order to achieve common goals or become a different entity. As an example of such entity can be, but not limited to, a company, a (non-governmental) organization or a freelancer. The entity itself in this report context is subject and object at the same time. In this report terms like a company, non-governmental organization, sole-trader (freelance business model including) should be read as the entity. The “system” of cells describes how relatively each cell is close to another cell, meaning how cells are grouped in a larger picture when going from one grouping to another. To simplify – where are other cell located relatively to the evaluated cell (Image2 – S1). If you are interested in full paper, I’ll post an update here on the blog.